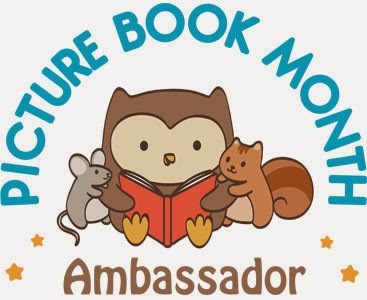 It's National Picture Book Month! Woo! 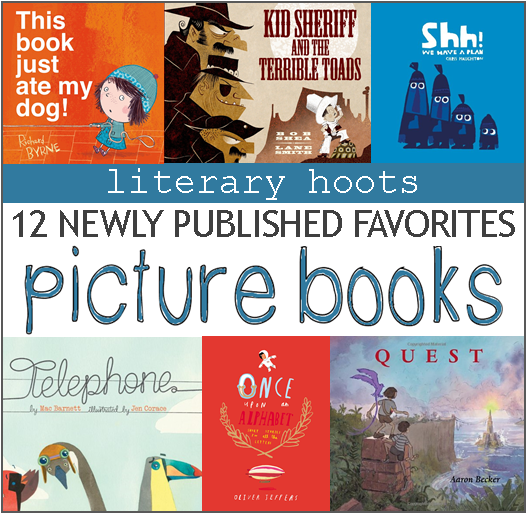 In celebration of such, I have decided to create a list of my favorite favorites of the fall-published picture books. So, of those that have come out in the last couple months, I think these are just awesome. 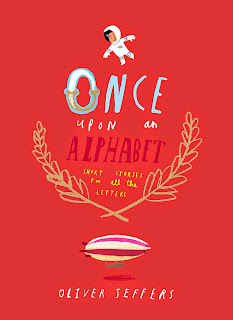 All of the letters of the alphabet work together to make up the words in the stories we read, so why not write a short story in honor of each letter? 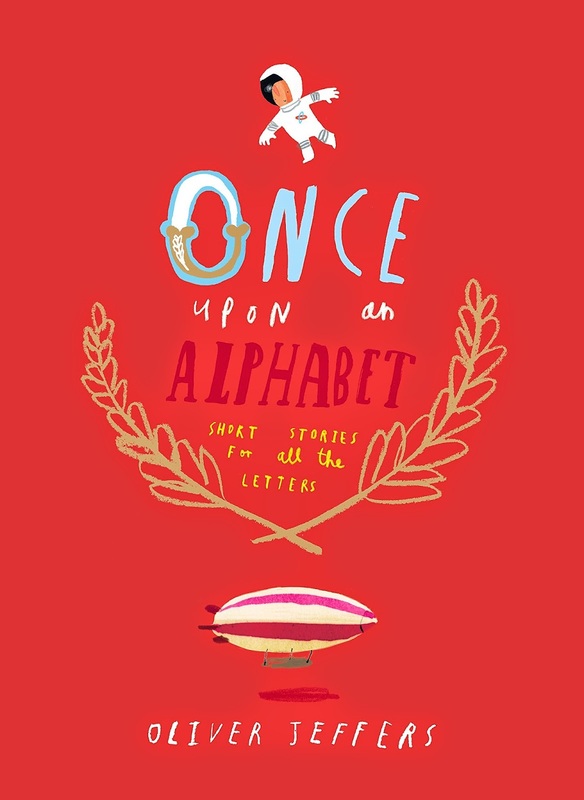 From an astronaut afraid of heights to a low-flying zeppelin, Oliver Jeffers does just that. 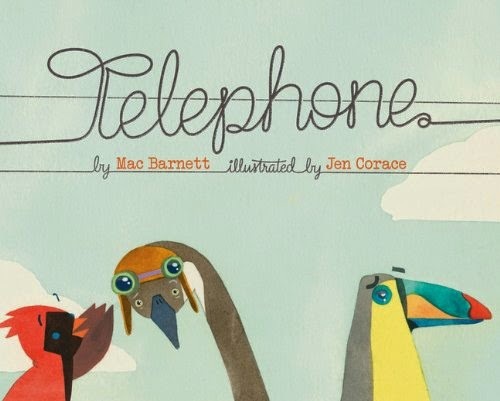 While technically a collection of short stories, this picture book is fun for everyone aged four and up (yes, adults will enjoy it, too—it's the subtle things). It has a lot of humor with just the right amount of cleverness and a smattering of just plain weird. And Jeffers' illustrations definitely match these themes (as they usually do). Also, the picture doesn't really translate the neon-ness of the cover. Four friends are out in the woods when they spot an exquisite bird! "Hello, birdie," says the littlest. "Shh!" say the other, "We have a plan!" And a most entertaining plan it is. 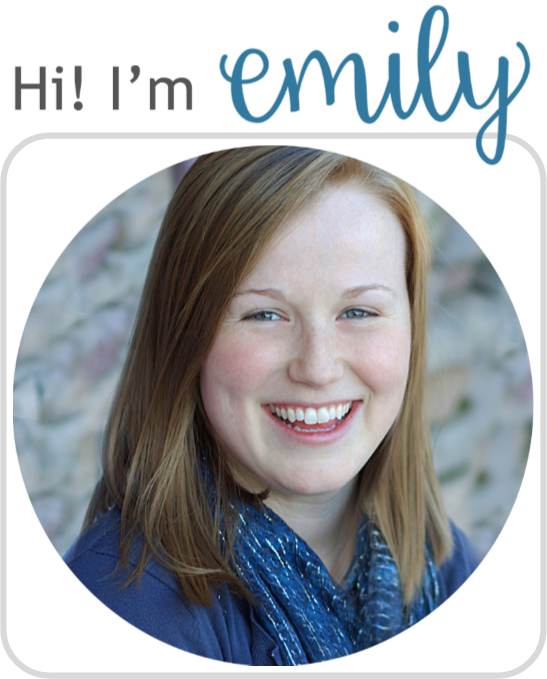 The simple, repetitive text makes it a great read-aloud or beginning-reader. The illustrations are amazing, as well, with the monochromatic scheme being interrupted by the beautiful bird. 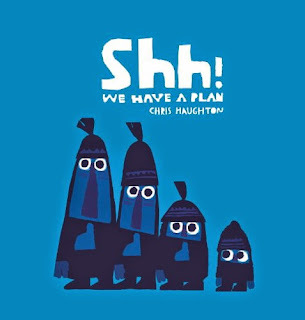 Haughton's other book, Little Owl Lost, is another favorite of mine, so I'm glad his newest does not disappoint. Remember playing Telephone? Well, Mama bird is just trying to tell Pete to fly home for dinner. But as the message moves down the line of avians sitting on the telephone wire, it's getting pretty jumbled--with some rather comical interpretations. 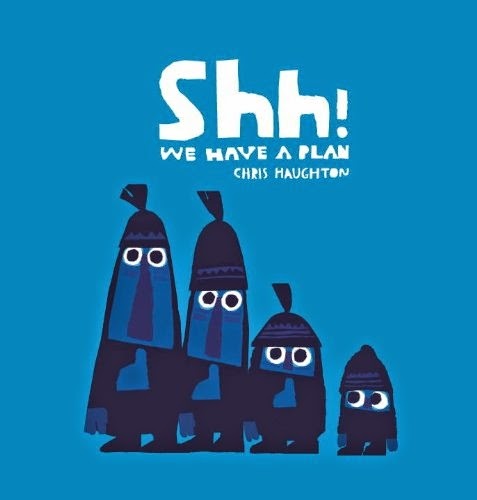 This book was super entertaining, and yet, still an excellent study in miscommunication; it's great for all ages. Corace created fantastic illustrations that fit the story perfectly, too. See? All-around win. Some animals have some pretty funky-looking physical traits. Is the pufferfish going to explode? Who gave the panda those black eyes? Well, the animals themselves will answer these (and more) questions and explain why they look the way they do. While technically nonfiction, this book is a really entertaining way to learn! 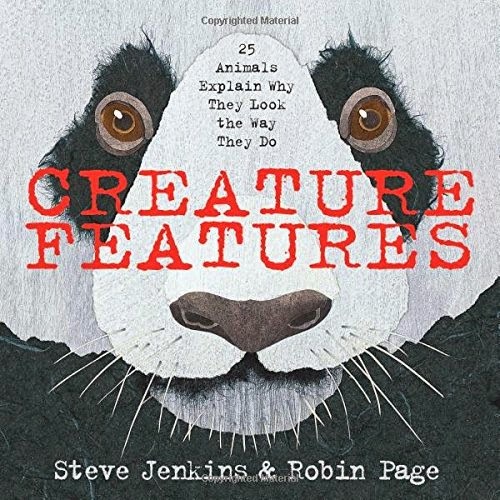 None of that boring, text-book type stuff; kids of all ages can learn all kinds of fun facts about animals (a giraffe's tongue is purple so it won't get sunburned, no joke). Plus, Jenkins illustrations are amazing. He has a Caldecott Honor for a reason. Bella's dog has quite suddenly disappeared. But when everyone who tries to help her is disappearing, she realizes she may needs some extra help--from you! 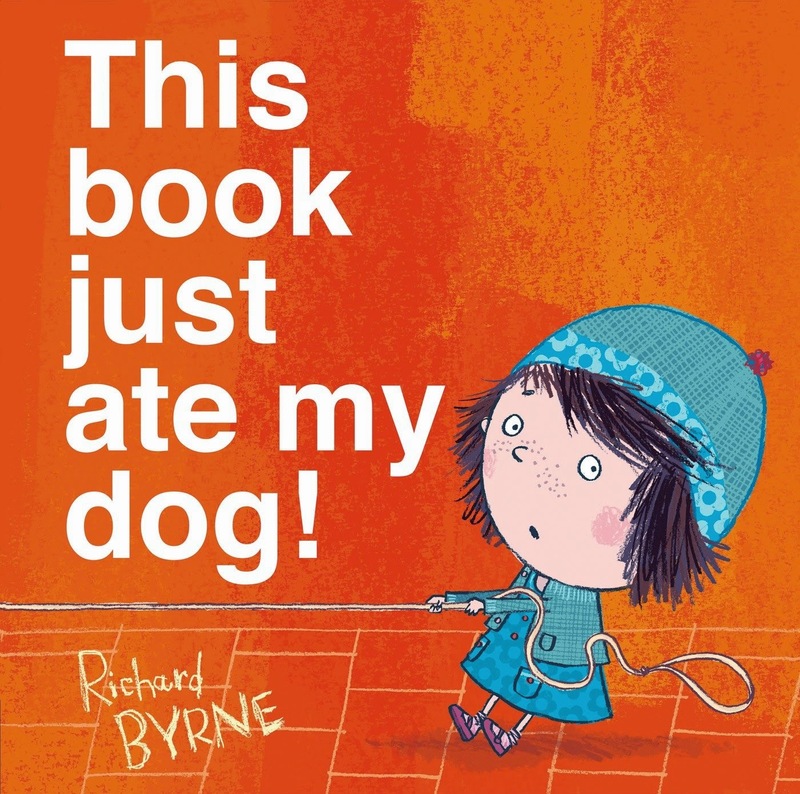 Byrne has expertly used the anatomy of a book to create a rather comical story. The dog has disappeared into the gutter of the book. Yep. It's funny and genius all in one. 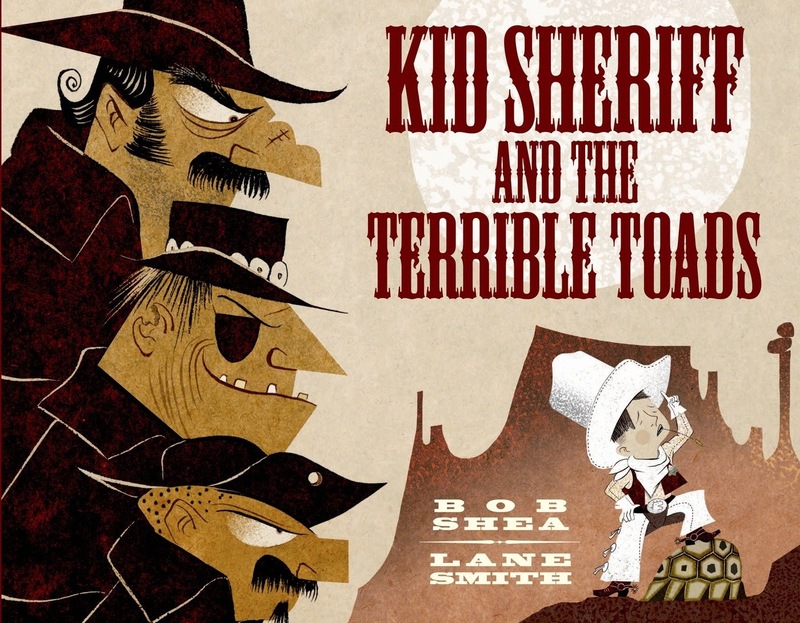 Sheriff Ryan may only be seven years old--and riding a rather slow turtle--but Drywater Gulch residents need all the help they can get with the hootin' and hollarin' Toad brothers about. Ryan can't shoot or rope, but he sure knows a lot about dinosaurs. Yep, dinosaurs. At first, I was skeptical about it ("Why dinosaurs??") and then it had a fantastic ending. Which makes up for everything. 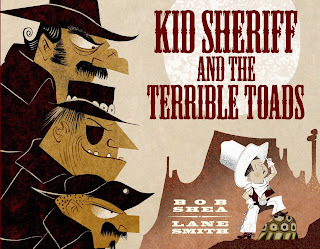 And, to top it off, Smith's wild-west illustrations are genius. There's a nitty-gritty visual texture that adds perfectly to the nitty-gritty story. A fantastic read for all ages. Watch out! 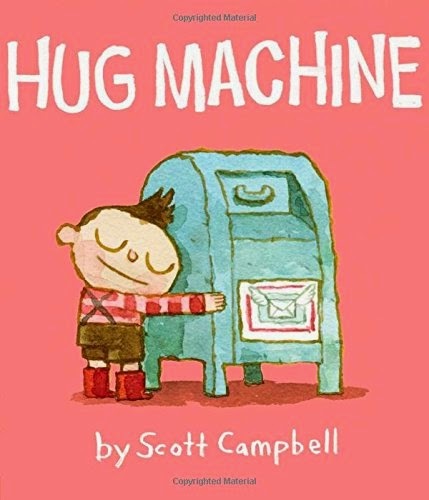 Here comes the hug machine! No one can resist his cuddles--not even the spikiest of pals. He may even have a hug for you! It's a pretty darn adorable story. And I think a lot of people will enjoy it, because it's just plain feel-goods. 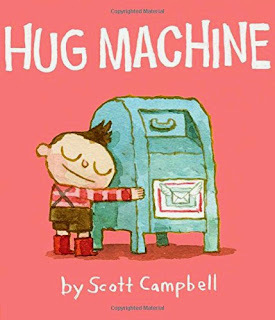 Just be careful you don't create a hug machine in your own household. Sharing is caring, in this counting book. 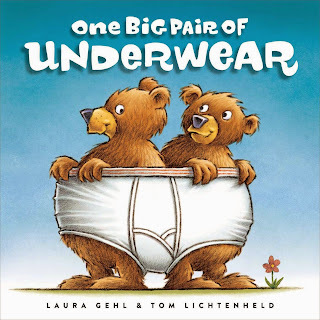 The two bears may just have to share the one pair of underwear, to keep everyone happy. And so on. 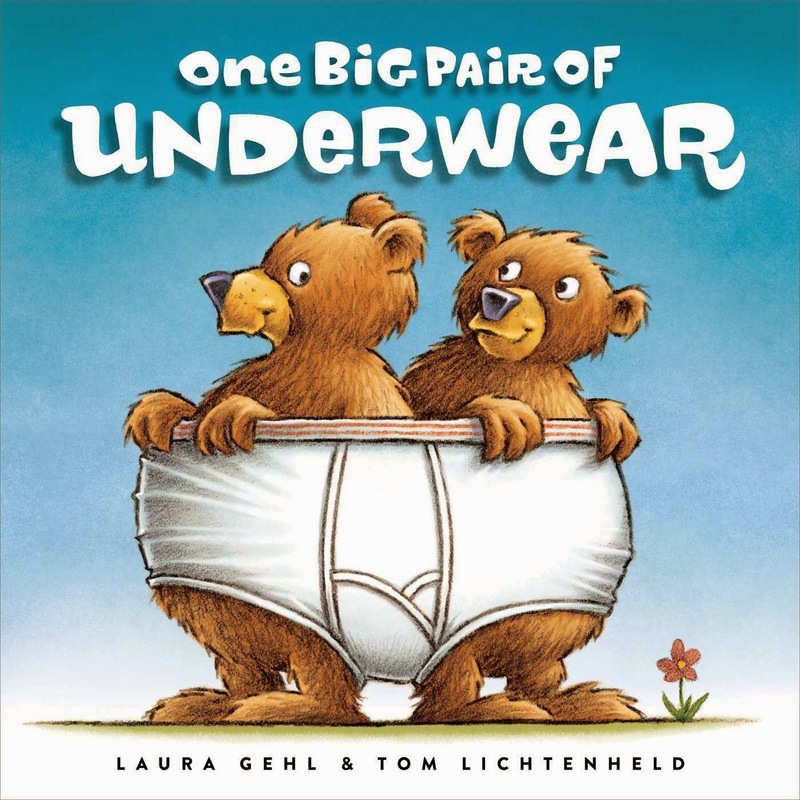 Lichtenheld delivers another hilariously-illustrated book and I am a fan. Is it kind of weird? Well, when was the last time you saw cows on jet-skis? Yep. But that's why this book is a fun way to learn to share. As a companion to the Caldecott Honor, Journey, two kids are surprised by a king's sudden appearance in the park. He thrusts a map and some strange objects at them before being captured by the enemy. And so the kids start their quest to save a kingdom. 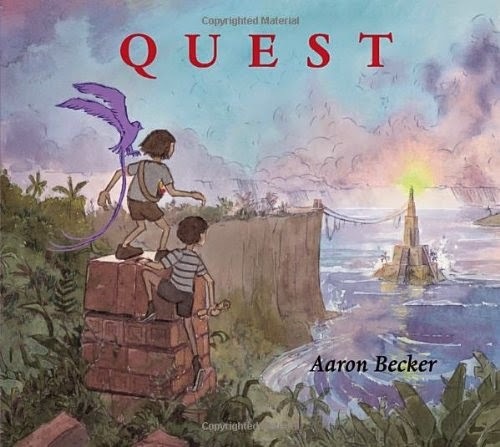 Just like Journey, the imagination in this book is amazing, with beautiful illustrations telling a story with no words needed. The quest will take the kids to all kinds of fantastic places--and it's fun to go with them. 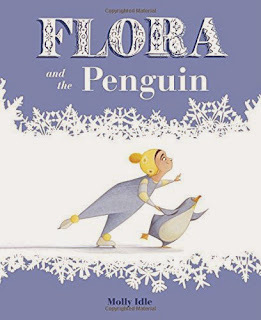 (This will sound like a double of the book above) As a companion to the Caldecott Honor, Flora and the Flamingo, Flora is now ice skating with a penguin beautifully--until there's some snubbing. Will Flora be able to give up the cold shoulder? Just like Flamingo, it's a beautiful wordless book showing graceful movement. Definitely fantastic to look at. 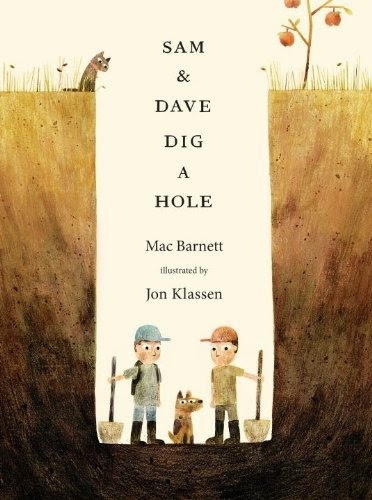 Sam and Dave decide to dig and dig and dig. They even try a different direction and splitting up, but they don't find anything spectacular. Is anyone paying attention to the dog? 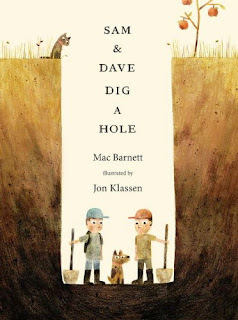 Yes, I already have Mac Barnett once on this list, but with Jon Klassen at his side, it's a totally different experience. The humor that Klassen is able to communicate with such simple art is fantastic. Is the ending a little weird? Yeah, but I still recommend it. 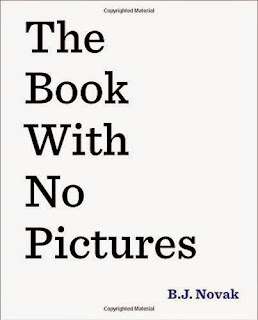 Does it count as a picture book if the book has no pictures? I don't care, this book is hilarious. Because, as well all know, the way books work is: the reader has to read every word. No matter how silly. So even if there's no pictures, prepare to be entertained. Especially since it's B. J. Novak. 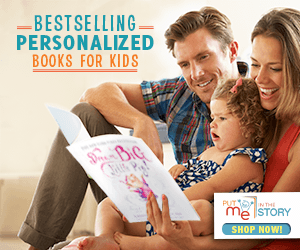 Have you see his promotional video for this book, yet? So great. View it below.